As previously mentioned, the great DFA's career was cut short due to tragedy; musically speaking the band's last effort was as amazing as its first. I've mentioned elsewhere on a number of occasions that as many great new Italians bands there are giving tribute to their influences in the 70s, one thing often missed is that many newer bands tend to fill empty seats with musicians who grew up on rock and metal when so many of the chairs in the 70s were filled by musicians who knew jazz and could make the band sound really swing and groove. 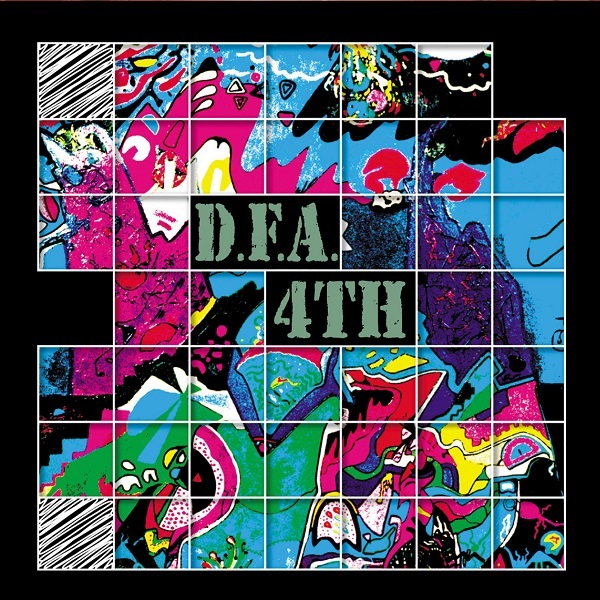 While DFA isn't technically doing the same thing because of their wider palette of influences, they're still a great example of what it's like when a band is attempting progressive rock with a group of players who know how to swing with the rhythm instead of chopping through it all with rock beats, and that actually tends to liken DFA a bit closer to the Canterbury bands of the 70s. However, the tricky rhythm changes, the dexterous unison lines and start/stop twists, all features of fusion and progressive rock, are still part of the style here, they're just so fluidly run through that there's no groove lost no matter how complicated it is. The chemistry of this band by this album was just thoroughly unstoppable, it was as if they could do anything they wanted and it's really noticeable how the collective musicianship had grown by this point. In a genre where the swansong of a band usually comes after the sound had been watered down due to commercial influences, DFA's career ended on an uncommonly high note. It's rare that you get to see this kind of farflung musical ambition with such instrumental maturity and taste. It may have been close to ten years since DFA’s last studio album, but this band has certainly not lost their edge; in fact, if anything the intensity and passion in this new set makes up for all the lost time. Still a quartet of guitars, bass, drums, and multi-keyboards, the furious energy of the first few cuts – including a sidelong opener, sound like they are channeling the spirit of National Health and Zappa’s Grand Wazoo band through the jazz-rock prism of Arti e Mestieri with a bit of Mahavishnu in the mix. No holds barred, this is a burning cauldron of melodic instrumental fusion, though retaining much of the feeling and beauty of progressive rock that made so many classic Italian bands of that genre so special (think Arti, Perigeo, Area, Etna, and so many others). On the fourth cut, “Mosoq Runa” – another sidelong piece – they introduce some guest string players who add a whole new dimension to the sound, along with keyboardist Alberto Bonomi’s tasty orchestrations. The final two cuts add the dimension of vocals to this already rich blend of melodic elements – first from drummer Alberto de Grandis on “The Mirror,” and then on the closing cut from the three-piece female vocal unit Andhira. This is, quite simply put, DFA’s most satisfying and superb effort to date. Highly recommended.